A former Delta Force commando joins forces with a British SIS team to track down international terrorists. 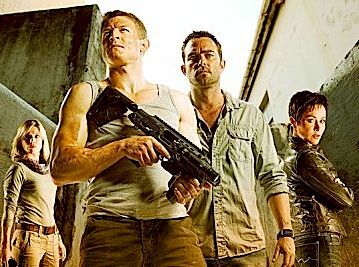 Season 1 is also called "Strike Back: Origins". Since this is a British-originated series, we use the UK airdates, even though the co-production deal with Cinemax allows each episode to be run as much as 9 days earlier in the US. Text Copyright © 2010-2019, epguides.com. All rights reserved.